Authors Crib : Can we meet you? Tell everyone about you. Melissa : My name is Melissa and I am an actress and children’s entertainer from England. I love all things DISNEY – having worked as a princess for 10 years!!! My hobbies are dancing, singing karaoke and hanging out with my friends. I love travelling, being outdoors and going on long walks with my gorgeous dog Todd. Melissa : I was actually off work sick when the idea for a book came to me. I was in my late 20’s and worried about my future. Being a children’s entertainer has a shelf life and I was concerned what I would do when that career came to an end. And there the idea for Lissy’s World was born. Authors Crib : What brings about you choosing the indie publishing way and not the traditional publishing route? Melissa : I very much believe you make your own luck. I prefer being proactive and making my own opportunities rather than waiting for one to present itself. With hard work and determination you can achieve anything you want to in life. I hope by going down the ‘indie’ publishing route, I can inspire other people to follow their own dreams. 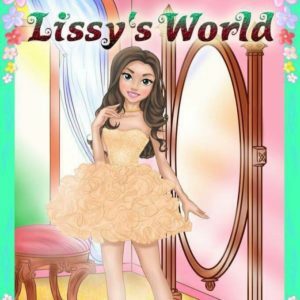 Melissa : Lissy’s World is all about a normal girl who grows up and realizes she used to be a princess. This is a daydream I have had since I was a little girl; with the crushing realization that now Prince Harry is engaged, I will never officially be a princess (haha). I wanted to make my books relatable and address issues that young girls go through in life. Each book has a different lesson to learn; from making and losing friends, dealing with bullies or struggling at school to figuring out what you want to do in life. At 30 years old these are still experiences I, and in fact most people, still have to deal with. Authors Crib : How have you been marketing and promoting your book so far? Melissa : I have had so much fun promoting my books. I have done a lot of travelling this year, so I have been able to do most of my marketing on the road. I have built quite a following doing my princess parties over the past few years, and I am so lucky they have supported me wholeheartedly in my new endeavour. Authors Crib : If something has brought you success in your author and writing career, what is it? Melissa : I have always worked extremely hard, and I think that my work ethic has helped me succeed in many areas of my life. The most important skill I have developed is building incredible relationships with my customers; many of who are now dear friends. The beauty of my princess business was watching children grow up and being a big part of their lives. Without these relationships, I wouldn’t have a business at all; you can write the best book in the world, but it means nothing if there’s no one there to read it. Authors Crib : What lessons have you learnt in your writing and self publishing journey? Melissa : This year, I’ve definitely learnt the importance of having faith and believing in yourself. I risked everything to pursue my dreams. I gave up a well paid, stable job and I questioned every day since if I had made the right decision. 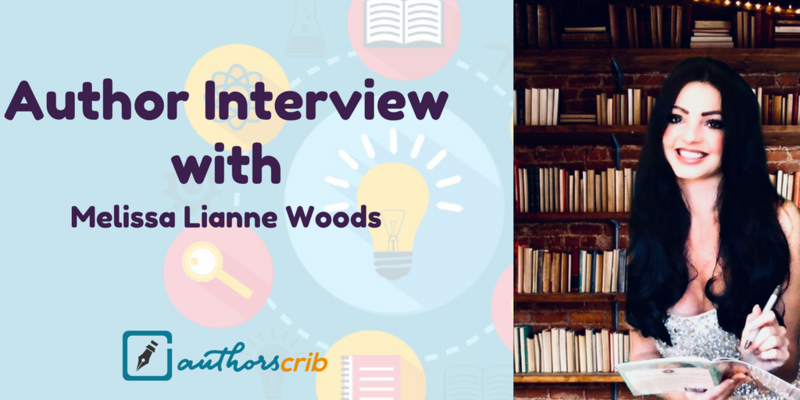 Authors Crib : If there is one book marketing strategy you have found to work for you, what is it? Melissa : I have a weekly blog, with hundreds of subscribers, where I write about my journey building my own business. I share tips, advice and lessons I have learned to help other people achieve their own goals. I think my blog has flourished because I don’t just share the highlights of my life and my success. When things are going wrong or I have a bad day and I feel like giving up, I write about it. Sharing both sides of the picture makes everything so much more relatable. Authors Crib : What advice do you have for authors and those that are willing to be one? Melissa : My advice to anyone in life is to never let anyone tell you that you cannot do something. If you have a dream or a passion, pursue it regardless of what other people think. Melissa : Please check out my website www.lissysworld.co.uk where you can find my books and also subscribe to my blog. I look forward to sharing my story with you all. If you enjoy this post, steal The Exact Strategy I used To Get 273 Targeted Book Readers Into My Email List in 2 Days From Amazon – FOR FREE! Till I come your way next time with another Indie Author on the “hot seat” here at The Authors Crib Interview corner of Authors Crib, keep been The Smart and Savvy Indie!